Did you ever wonder why marine mammals have tails that move up and down instead of side to side like fish? Or why they are born tail first instead of head first like land mammals? Come along and find answers to these and other questions as we explore SeaWorld from a creationist perspective and discover how these unique plants and animals were specially created for a marine environment! Mr. Bill Clifton - creationist, author, speaker, Florida Master Naturalist, and science educator - was head of SeaWorld Orlando's Education Department for seven years. He knows his way around the park! He will provide a unique and fascinating perspective of SeaWorld as we learn about the sea and the awesome creatures that live in it. Your cost for this adventure includes a Creation Tour through the park from 9:30 AM to 1:30 PM. Afterwards, you may stay in the park on your own until it closes. SeaWorld closing times may vary during the year. 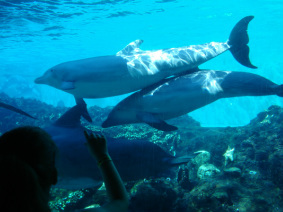 Check www.SeaWorldOrlando.com for closing times for your date. Minimum number: 25; Maximum number: 40.
paying adults may not exceed paying students. 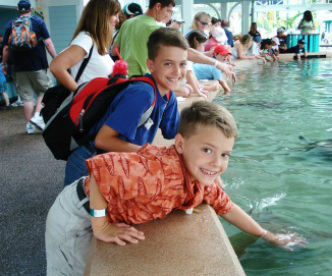 $15 for SeaWorld pass holders (child or adult). Cost includes our group "Creation Tour" from 9:30 AM - 1:30 PM. Then, you may stay on your own until the park closes. Parking: $22 per car (subject to change). Join our Creationist Guide to SeaWorld field trip on Friday, October 12, 2018. OPEN TO ALL. Scheduled by The Classical School, Orlando and Science Partners. Download the registration form below. You will need a PDF reader (free) such as Foxit Reader or Adobe Reader.